Our nursery staff are well qualified and highly experienced, please see About Us for details. They are also very professional and loving in their care of our children and this comes through in many of the feedback letters and cards from our parents. 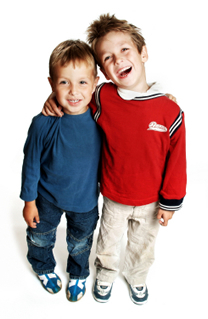 The children in our day care learn and develop very well in our safe, secure family oriented nursery environment. 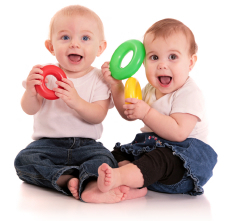 They are happy and respond well to the wide range of activities planned for their time at the nursery. We follow the 'Birth to Three Matters' and the 'Early Learning Goals' development plans laid down in the National Child Care Strategy. We also place great importance on the interaction between our nursery staff and parents. This two way communication has many benefits and parents are always welcome to call in to talk to staff or simply share time in the nursery with their child. As our children progress through our nursery, we also focus on the development of their personal characteristics, so that as they move on to primary school they are well prepared for this important transition. Please see Pre-School Page for details. Oasis Day Care Nursery is located within 2 minutes walk of the town centre and 5 minutes walk along Wigan Lane to the Wigan Hospital. This makes our nursery very convenient for parents working in the town centre shops, offices, local schools and the hospital.